Need a career with high earning entry-level potential & job security in an industry that’s still growing? Secure those high-paying lifting jobs by earning your NCCCO Certification in just 5 Days! Operator Experience not required. It’s the certification employers need making you the operator they want. Are you an employment agency or assist individuals to receive job training? 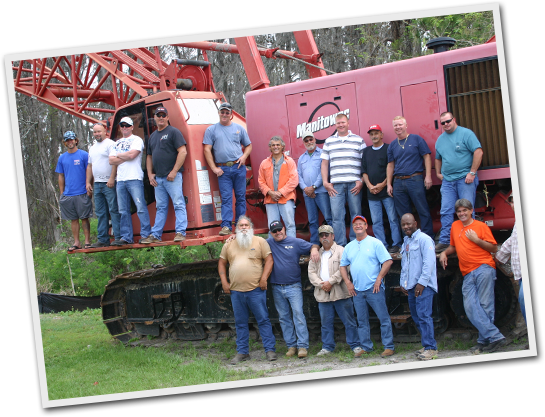 Our crane training school offers the training and certification many state laws require to be employed as a crane operator. Our graduates are certified through the NCCCO; one of the most renown certifications in the industry. Enrolling is Easy! Contact us for a Free Enrollment Packet or Consultation. Are operators of digger derricks required to be qualified or certified? Yes, unless the digger derrick is being used to auger holes for poles carrying electric or telecommunication lines, place or remove the poles, or handle associated materials to be installed on or removed from the poles. Does an operator need more than one certification? With respect to certification from an accredited testing organization, an operator must be certified for the type and capacity of crane he or she is going to operate. Each accredited testing organization develops its own categories for crane type and capacity. Can I get certification for my employees from anyone? No! The issuing entity (e.g. NCCCO) must be accredited by a nationally recognized accrediting agency (such as ANSI or NCCA) to be sure that industry-recognized criteria for written testing materials, practical examinations, test administration, grading, facilities/equipment, and personnel have been met. Is certification a one-time event? No. OSHA requires that operators recertify every five (5) years. What am I (Employer) required to do under OSHA’s new Evaluation requirement? One of the key differences between the first Final Rule issued in 2010 and the Final Rule just published that modifies it, is the addition of a process OSHA calls Evaluation. In this Employer’s Guide we drill down into the main elements as prescribed by OSHA. Download the Crane Operator Evaluation Form here. What specific training does OSHA require me to provide my Crane Operators? OSHA lists the knowledge and skills it has identified as critical to safe crane operation in 1926.1427 (j)(1) and (2). Get more info here. This fact sheet describes the qualified rigger requirements of subpart CC – Cranes and Derricks in Construction, as specified in 29 CFR 1926.1401, 1926.1404, and 1926.1425. These provisions are effective November 8, 2010. Employers must use qualified riggers during hoisting activities for assembly and disassembly work (1926.1404(r)(1)). Additionally, qualified riggers are required whenever workers are within the fall zone and hooking, unhooking, or guiding a load, or doing the initial connection of a load to a component or structure (1926.1425(c)). A qualified rigger is a rigger who meets the criteria for a qualified person. Employers must determine whether a person is qualified to perform specific rigging tasks. Each qualified rigger may have different credentials or experience. Does a certified operator also meet the requirements of a qualified rigger? A certified operator does not necessarily meet the requirements of a qualified rigger. This fact sheet describes the signal person qualification requirements of subpart CC – Cranes and Derricks in Construction, as specified in 29 CFR 1926.1419 and 1926.1428. Other requirements related to signal persons can be found at 29 CFR 1926.1404, 1926.1430, 1926.1431, and 1926.1441. These provisions are effective November 8, 2010. How does a signal person become qualified? Third party qualified evaluator. The signal person has documentation from a third party qualified evaluator showing that he or she meets the qualification requirements. Employer’s qualified evaluator (not a third party). The employer’s qualified evaluator assesses the individual, determines the individual meets the qualification requirements, and provides documentation of that determination. This assessment may not be relied on by other employers. Refer to 1926.1401 for definitions of qualified evaluators. 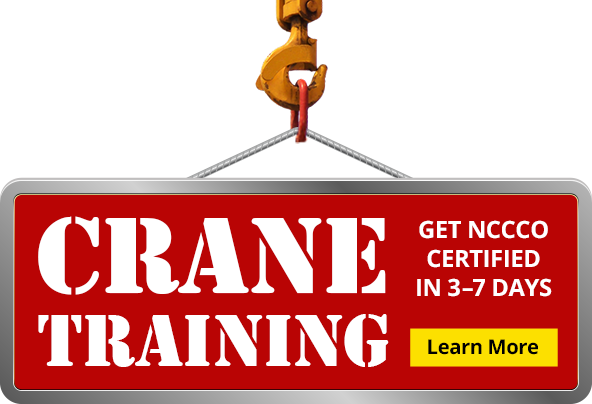 Nationwide Crane Training is the go-to crane operator training school in the USA. We’ve designed classes (complete with practical, hands-on testing) that take anyone from the novice to a full-time crane operator with ease. Our courses fully prepare candidates for NCCCO crane operator certification exams (both written and practical) so they pass with the minimum investment of time and money. Crane operators are in high demand as the heavy machinery industry continues to grow faster than average in our country. But new Federal and State OSHA regulations require many such operators (including rigging and signalpersons) to earn certification in order to work in the construction industry. Nationwide Crane Training doesn’t just teach crane test preparation. We ensure candidates understand the principles of crane operation and crane safety—which is why our classes are so effective. It is our commitment to quality training and each student that has earned us a respected reputation in the crane industry. Our Mobile Crane Programs will get you or your employees certified fast, Guaranteed. To obtain crane operator certification through the NCCCO, each candidate must pass a written core exam and at least one specialty exam. Additionally, candidates must pass a hands-on practical exam within 12 months of passing the written portions. The written core exam includes 90 multiple choice questions. The Mobile Crane Operator Written Examination consists of a Core Examination in crane operation and up to four crane Specialty Examinations. Certification requires competency in both the Core and one or more Specialty designation(s). The Core Examination has 90 multiple-choice questions. Candidates are allowed 90 minutes to complete the Core Examination. Each Specialty Examinations consists of 26 multiple-choice questions. Candidates are allowed 60 minutes to complete each Specialty Examination. All candidates are required to take the Core Examination, regardless of the Specialty(s) in which they wish to be certified. Each of the specialty exams includes 26 questions. All questions on both the core and specialty exams are given in a multiple choice format. We Guarantee You’ll Pass the Written Exam! Private School (class and hands on) with maximum class size of 5 candidates. Located in Des Moines, Iowa and Riverside, California. Just 7 days, at a fraction of what other schools charge! Open year-round. Classes hosted at centrally-located sites across the country throughout the year: Alabama, California, Iowa & Texas. Ideal for individuals and large groups.